Hamilton Croatia members and cycling enthusiasts got together to formally begin Team Hamilton Croatia Cycling in April 2017. The team is not strictly competitive. They do not race against other riders or the clock, but do ride hard to improve all riders in the group. Riding better means having more fun, riding safer and getting more exercise in less time. Anyone can join if you like the social aspects of riding as a group, the enjoyment of being outdoors, the celebration of food and drink and the satisfaction of achieving your fitness goals. The team is an affiliate club with the Ontario Cycling Association. 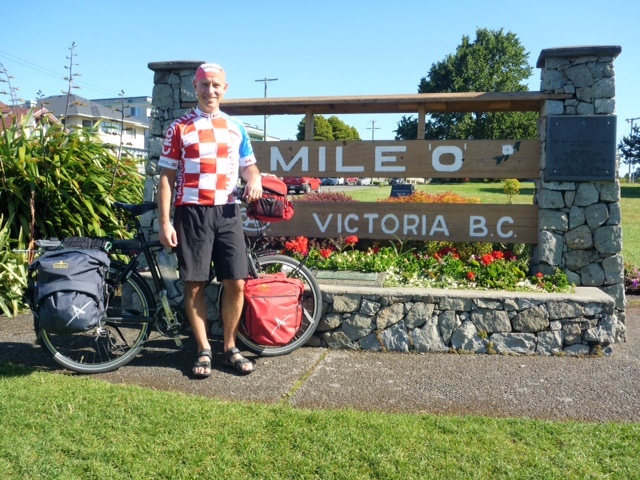 Follow team member Jim Zvonar's 2017 coast-to-coast ride in support of Suicide Prevention and Mental Health. Click the photo above to read his blog and donate to the cause as he treks across Canada.